i. After a gap of two years, US retail major Walmart will open a new cash and carry store in Agra as it returns focus on India. ii. The company, which opened its last store in Bhopal towards the end of 2012, has said it will focus on cash and carry business in India in the absence of clarity on FDI in multi-brand retail trade. iii. "Walmart is committed to India and we are focused on our growth plans... We have recently received all internal approvals for opening a new store in Agra, our second one in the city," Walmart spokesperson told PTI. i. Jyotsna Suri, Chairperson of Bharat Hotels, on 20 December 2014 was elected as the President of the Federation of Indian Chambers of Commerce & Industry (FICCI). ii. Suri succeeded Sidharth Birla. iii. Alok B Shriram, deputy managing director of DCM Shriram Industries Ltd, assumed the charge of the president of PHD Chamber of Commerce and Industry. i. Following the in-principle agreement reached by India and Russia for the production of Russian helicopters in India, both sides are carrying out discussions to work out the details to quickly conclude a deal. ii. Initially the helicopters will be used to cater to the requirements of the Indian armed forces and only after that will exports happen, Russian embassy officials told The Hindu. iii. This effectively means that the Utility Helicopter deal which was earlier cancelled as a global tender and changed into “Buy and Make” category under the Defence Procurement Procedure (DPP) will go the Russian way. i. Senior IPS officer Prakash Mishra on Monday took over as the new chief of country's largest paramilitary and lead anti-Naxal operations force CRPF. ii. 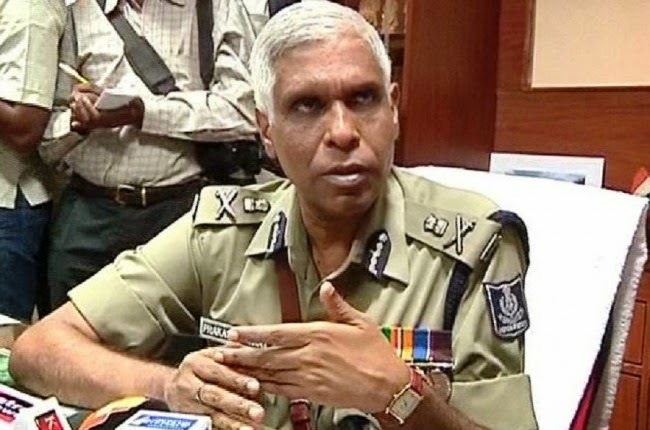 Mishra, an ex-Odisha police DGP and 1977-batch IPS officer, took charge at the Central Reserve Police Force headquarters here after his name was announced for the post by the government last week. CRPF is the mainstay for anti-Naxal operations and Mr Mishra has himself spearheaded such operations when he was the Director General of Police in Odisha. 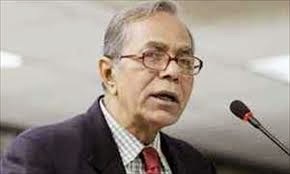 i. Bangladesh President Abdul Hamid arrived in Kolkata on a two-day visit to West Bengal. ii. He was received at the airport by the Minister for Urban Development and Municipal Affairs Firhad Hakim. iii. The Bangladesh President had arrived in Delhi on December 18 on a six-day official visit during which he held talks with the Indian leadership with an aim to further strengthen the already close bilateral relations between the two countries. i. Special Secretary in Research and Analysis Wing or RAW, the country's external intelligence gathering agency, Rajinder Khanna was appointed as its new chief. ii. The Appointments Committee of Cabinet headed by Prime Minister Narendra Modi cleared Mr Khanna, a 1978 batch RAS cadre, for the post of RAW chief for a period of two years from December 31 after incumbent Alok Joshi retires. i. India on 22 December 2014 celebrated National Mathematics Day. The day is observed to commemorate the birth anniversary of great Indian Mathematician Srinivasa Ramanujan. ii. The declaration to observe 22 December as National Mathematics Day was made by former Prime Minister Dr. Manmohan Singh on 26 February 2012 at Madras University on the occasion of 125th birth anniversary of Ramanujan. i. Mohammed Rafique nodded home the most important goal in the Indian Super League as Atletico de Kolkata won the inaugural edition. The injury-time goal from the substitute broke Kerala Blasters’ hearts after a rousing first-half display at the D.Y. Patil stadium. ii. Chennaiyin FC’s Elano Blumer and FC Goa’s goalkeeper Jan Seda (FC Goa) topped the list for Golden Boot and Golden Glove awards respectively. Atletico de Kolkata is co - owned by Saurav Ganguly while Sachin Tendulkar is the co - owner of Kerala F.C. i. India on 20 December 2014 won the Men and Women title of Kabaddi World Cup 2014. This was the fifth Kabaddi World Cup. ii. In Men, India defeated Pakistan while in women, India defeated New Zealand to win the title for the fourth consecutive time. iii. The final match of the cup was played at Guru Gobind Singh Multipurpose Stadium in Jalandhar, Punjab, India. i. Cricket icon Sachin Tendulkar was on Monday named the ICC World Cup ambassador for the second successive edition. ii. “The International Cricket Council today announced Sachin Tendulkar as the World Cup 2015 Ambassador. It will be the second successive time that the India maestro will be the Ambassador of ICC’s pinnacle tournament, after he fulfilled the role in the previous event in 2011,” the ICC said in a statement. iii. In his role as ambassador, Tendulkar will promote and support a variety of ICC initiatives to enhance the profile of the tournament, which is the third biggest sporting event in the world and will take place in Australia and New Zealand from February 14 to March 29.